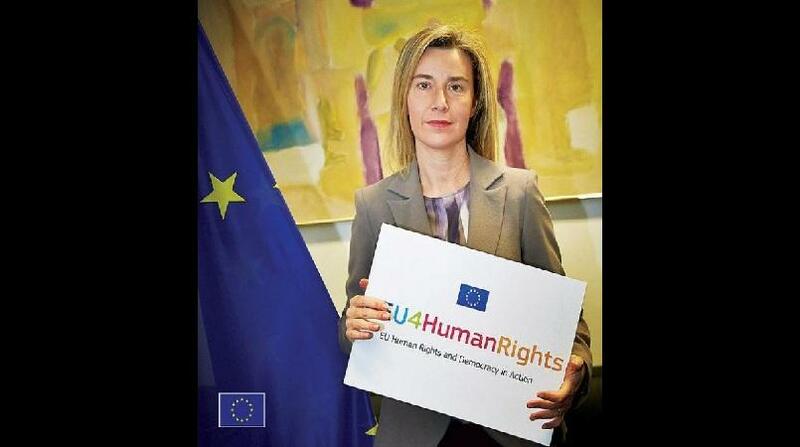 The European Union (EU) and two of its Member States, France and United Kingdom, have recently endorsed a five-year “2016-2020 Country Strategy on Human Rights and Democracy for Papua New Guinea”. The main activities to drive the strategy will be financed under the European Instrument for Human Rights and Democracy (EIDHR), other relevant financing instruments, and through targeted public diplomacy. - Strengthen good governance, democracy and rule of law. In announcing this strategy, the EU Delegation and its Member States, France and United Kingdom, issue the following joint statement: "Papua New Guinea society is going through a vibrant transformation and the human rights landscape is evolving, while adequate responses and implementation by Government agencies are still progressing. Against this background, the EU Delegation and EU Member States will explore opportunities to align with government efforts and support areas where meaningful impact can be achieved." The strategy targets to promote activities in two separate ways. It aims to build on former and ongoing projects, in particular initiatives to prevent violence against women, through awareness raising, targeting leadership and decision makers and empowering survivors. It will also promote activities that support Human Rights Defenders, provide technical assistance to counter People Trafficking or assist with the development of the Public Finance Management Road Map. Moreover, the strategy will also explore issues such as empowering women, raising awareness of LGBTI rights, advocacy of death penalty abolition, international treaties compliance, establishment of a Human Rights Institution and support to the Referendum on Bougainville. The EU will work closely with its Member States, State and Non-State actors, civil society and development partners, particularly the UN agencies. The implementation of this strategy has already started through the commitment of over PGK 3 million, to three PNG-based organisations supporting the 2016 Call for Proposals under the European Instrument for Human Rights and Democracy (EIDHR). The selected projects will address issues of people trafficking, building the institutional capacity of women's organisation and its network, and promote children's rights and juvenile justice.